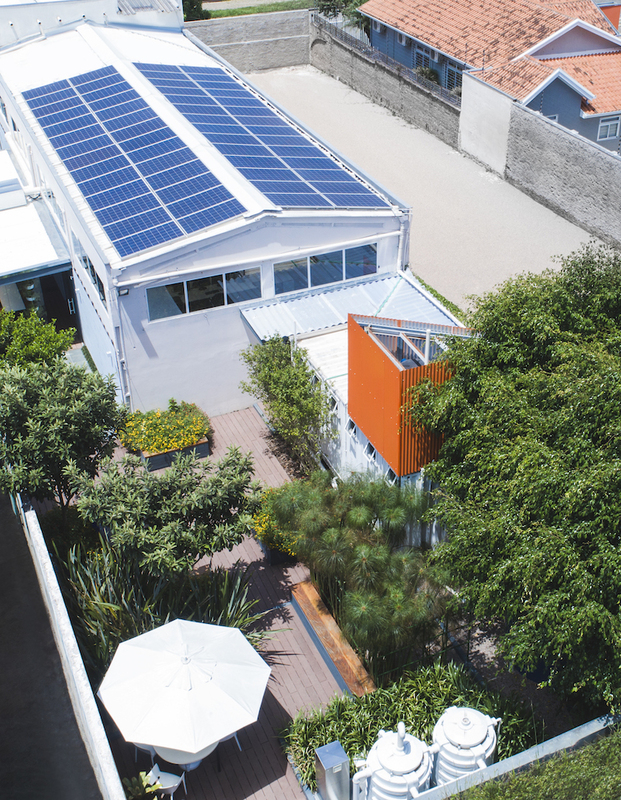 A rooftop solar array and onsite constructed wetland have helped the Petinelli headquarters, housed in a converted warehouse, to achieve net-zero energy and water. The U.S. Green Building Council (USGBC) has now awarded its first LEED Zero certification, for net-zero energy, to engineering and consulting firm Petinelli for its headquarters in the Brazilian city of Curitiba. Petinelli is next considering certifying under LEED Zero Water. “We have been off the grid on water for almost two years now,” he said. “We harvest and treat rainwater as a source for potable water.” The project also has a constructed wetland and uses 100% of its wastewater for irrigation and toilet flushing.